The integration of a Competency Based Training and Assessment (CBTA) approach to aviation training is relatively new but in the long term, it will create more competent pilots who are better prepared to learn and operate in the new and highly complex flight deck environment. This will result in safer skies and a positive step forward for aviation safety worldwide. At Pelesys we are acting quickly to integrate a CBTA approach into our aviation training materials starting in 2020 when our Dangerous Goods Aviation Training Course will be fully updated to a CBTA framework applicable to airlines of any size. To gain an understanding of how CBTA was developed we asked our Specialty Course SME, Gordon Andrews to give us an overview detailing how the initial CBTA concept was developed, to its integration across Europe and other emerging markets. 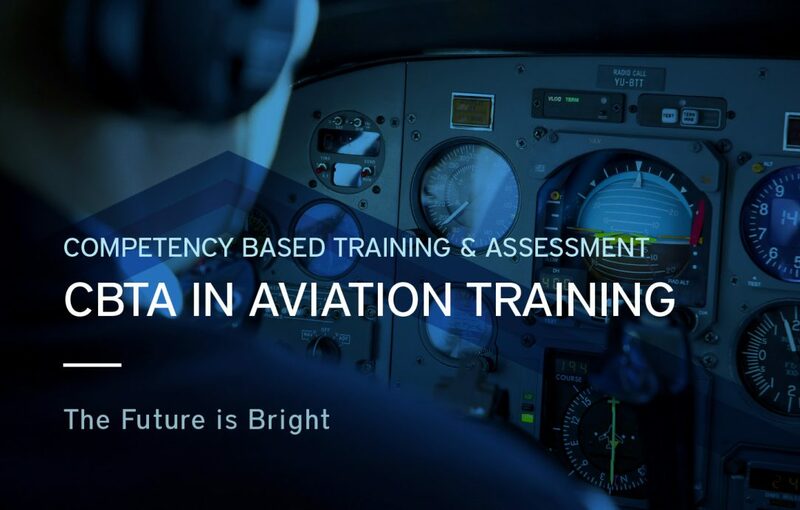 The concept of a Competency Based Training and Assessment (CBTA) approach to training began in the 1970s when NASA studied the role of human factors in aircraft accidents. These studies revealed a lack of understanding of the role humans play in aircraft accidents. At the time, most advancements in aviation safety involved the forensic study of accidents after the fact, and when mechanical, environmental and systemic issues could not be pointed to as the cause of an accident, the conclusion was usually wrapped up in the finding of pilot error. Rarely was there an adequate explanation as to why the pilot error occurred. The industry did a good job making aircraft more reliable, more capable and more automated. Regulators ensured that the support systems involved in flight operations were robust and operational training was improved. The accident rates fell steadily and leveled off at a very low rate. However, even at these low rates, the forecasted growth in the industry meant the overall number of accidents would continue to grow at an unacceptable rate. It became clear that in order to reduce the accident rate further, the role that humans play in flight operations needed to be addressed. Traditionally, airlines have been required to train their pilots to meet regulatory standards. These standards outline what is to be trained, how the training will take place, and how flight crews will be assessed. This resulted in a rigid regime that applied to all equally, was highly predictable and left no room for innovation. Recommendations from NASA and the industry led to the development of the Advanced Qualification Program (AQP). The FAA took the lead in developing AQP and the result has been a system that is adaptable to individual airline needs, including human factor training through a focus on crew resource management. More importantly, AQP mandated the requirement to analyze training data using statistical tools that measure the success of the whole program as well as providing science-based conclusions to the airlines and the regulators that can demonstrate what is working and what needs improvement. This allowed airlines to deviate from the rigid set of regulatory training requirements to produce training scenarios that focused on areas of greatest concern. AQP is now 30 years old and well over 90% of U.S. airlines train their pilots, flight attendants and dispatchers under an AQP. The resulting data is shared among airlines and used to improve all aspects of training. To answer this, ICAO has mandated job-function-related training to competency. The focus is on a more individualized assessment of current competency and comparing that to an end-state competency requirement in order to design a training path. To achieve this, data analysis is developed and used to determine the training requirements based on job function. This must include technical and non-technical skills encompassing attitudes, behaviours and skills to be able to develop reliability, resilience and critical thinking. EASA has used its accelerated rulemaking policy as well as unprecedented collaboration with industry to create a regulatory framework for CBTA in just two years. Along with AQP and AQTP, CBTA takes its place as an evolution of Evidence Based Training. CBTA is supported by airlines all over the world, especially in Europe. The new regulations mean that airlines can go forward with the program while maintaining core regulatory compliance. The emerging markets in Asia, South Asia, the Middle East and Africa can use the ICAO and EASA framework to shape their own regulations and to take advantage of CBTA. The U.S. continues to support AQP and it serves its airlines well by allowing them to determine their individual training needs through data analysis. The FAA believes that the tools provided under AQP can and will lead to CBTA methods being proposed and developed without the need for more regulatory change. Canada, on the other hand, is falling behind in making the needed regulatory changes to enable EBT philosophy. AQP has not been supported by regulation and only exists due to exemptions that are nearly 20 years old. Currently, only one carrier in Canada operates under AQP. EBT was proposed to the regulator over 10 years ago and was not supported. Since then, ICAO has mandated this type of training for all course delivery from dispatch training to specialty course delivery and EASA has laid all the groundwork for CBTA to be successful. CBTA is becoming more critical as airlines face pilot shortages resulting in less experienced pilots entering the workforce. CBTA gives airlines the tools to measure new hires’ non-technical abilities, such as reliability, resilience, and crew resource management at the outset. Airlines can now have the tools to assess new employee skills to learn and to operate in the new and highly complex flight deck environment. This becomes especially important as new hires come on with a lower technical skill level. Using such innovations as short scenarios, in-seat instruction, and the grouping of system failures into categories that have a high degree of commonality, serve to provide an environment for creative training and assessment, as well as freeing up valuable simulator time to pursue specific areas of concern. The future of CBTA is bright. Over the next decade, the fruit of this initiative will serve to create a more competent workforce that will be better able to tackle the complexity facing them during critical times. The result will be positive for aviation safety worldwide. A big thank you to Gordon for sharing this article with us. We are lucky to have him on our team overseeing te regulatory compliance and content management of the Pelesys specialty course library, as well as supporting the Pelesys ETR program as an AQP, EBT specialist. Gordon’s background includes roles as Principal Operations Inspector – Air Canada, and Technical Team Lead – WestJet on behalf of Transport Canada. He is a qualified SAFA Inspector and managed AQP oversight for the Regulator. Prior to joining Transport Canada he was a simulator instructor for Air Canada and served as a line Captain on B757, A320 and A330 Aircraft for Canada 3000 Airlines, accumulating over 17,000 hours of flying during his career as an airline pilot, corporate pilot, Chief Pilot and Operations Manager. Gordon holds a Bachelor of Science Degree in Science and Technology, and was a Dean’s List graduate. Gordon is also a Fellow of the Royal Aeronautical Society. To find out if Pelesys innovative aviation training courseware is right for you please get in touch with us today by phone, +1 (604) 233-6268 or via email, sales@pelesys.com.